The New York Knicks power forward has also always been fashion-forward. First confessing his affinity for sports and fashion back in July, he even did a womens&apos; capsule collection with designer Rachel Roy. Kicking it with fashion heavyweights like Vogue editor-in-chief Anna Wintour on the regular means you can never look sloppy, even when you&apos;re going casual. Thankfully, Stoudemire is always on. 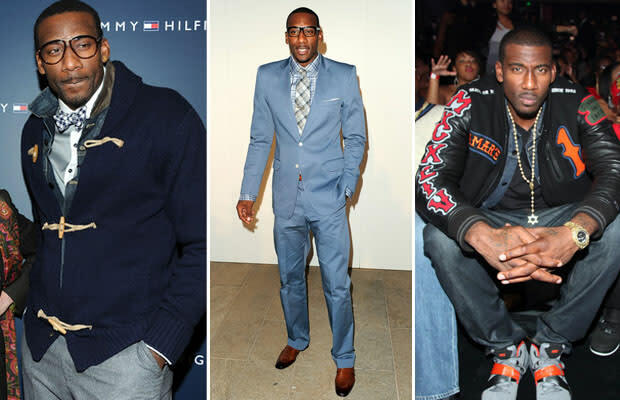 Despite looking great in a suit, Stoudemire seems to have developed a thing for chunky cardigans, which he pulls off with aplomb. He doesn&apos;t look half-bad in a custom Nike Destroyer either.